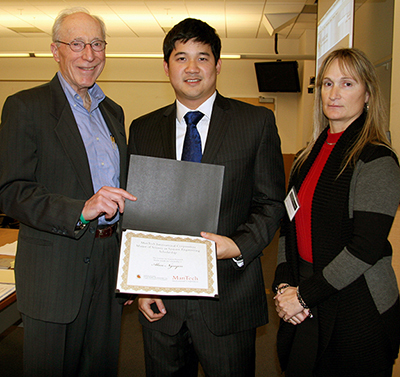 The Institute for Systems Research has awarded the first ManTech International Corporation Master of Science in Systems Engineering Scholarship to MSSE student Alan Nguyen. Nguyen is a second-year MSSE student who will graduate in May 2014. He is advised by Associate Professor Mark Austin (CEE/ISR). Nguyen's skills are in data analytics, systems engineering and operations research principles to aid in decision making and optimize complex systems, particularly in transportation operations. This scholarship has been made possible through the generous support of ManTech International Corp.